All the talk and speculation over the last 12 months has come to an end and Google have finally gone on record to confirm that they will favour mobile-friendly websites in the organic search positions over those that are not. Now, this may not be earth shattering news – there have been murmurings about this coming out of Google HQ for at least a year. However it is definitely something that all website owners need to take heed of and, if your sites are NOT already optimised for mobile devices, it is something that needs to be rectified sharpish (the date Google begin indexing and penalising your sites for poor mobile performance; April 21st 2015. What Is The Google Mobile Update? The update is solely focused on providing higher positions within the search rankings for websites that are optimised to run efficiently on a mobile device (android and iPhone software). The thinking behind this is simple; because more and more online traffic is coming from mobile devices, it is necessary for Google to rank (and penalise) websites for their effectiveness on that platform, and what better way to encourage websites to increase their performance on mobile devices than by favouring or penalising sites that have mobile compatibility issues. Why Should We Be Concerned About This Update? This is the first time Google has publicly announced that mobile sites will be offered preferential treatment within the organic search results. In the past, updates have been more focused on mobile sites being both configured properly and 'viewable on modern devices'. That was it. Now, mobile-friendliness is to be used as a ranking factor in the Google search results and sites that are not fully optimised for the mobile platform will begin to be left behind. How Can I Ensure My Site Will Not Be Affected By This Mobile Update? The majority of websites do not need to worry too much though, as a lot of the websites designed over the last few years have been focused on ensuring that sites are able to be viewed, optimised on mobile devices. Before this was even a ranking factor, many people within the industry knew about the compatibility issues associated with mobile devices, and with a lot of website traffic coming from mobile users, having an efficient mobile presence was crucial to ensure a higher conversion rate/better usability for customers. If you are worried however and want some conformation that your website is ready for this update, the good people at Google have provided a 'mobile-friendly Test' for anxious webmasters. Simply visit https://www.google.co.uk/webmasters/tools/mobile-friendly/ and put the website address of your site into the URL bar and press analyse for your results to be shown. As a precaution we would advise all businesses to use this link and make sure your site is checked and passes the test. In our own research we have found that 60% of our clients are ready for the update, so that leaves 40% that need to address these issues prior to the roll out. When Is This Update Going To Be Live? 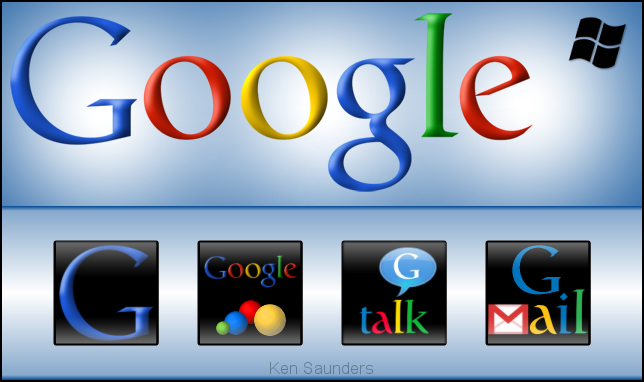 The Google mobile update is due to start with its worldwide roll-out starting on April 21st 2015. The effect will not be instant with some websites and we would estimate that this phase of rolling out will take up to 3 months (based on previous updates). If you have any concerns about this update, want more information or have a website that fails the above test then contact one of our team ASAP http://www.toinfinity.co.uk and we will do our best to assist and reassure you before the update goes live.